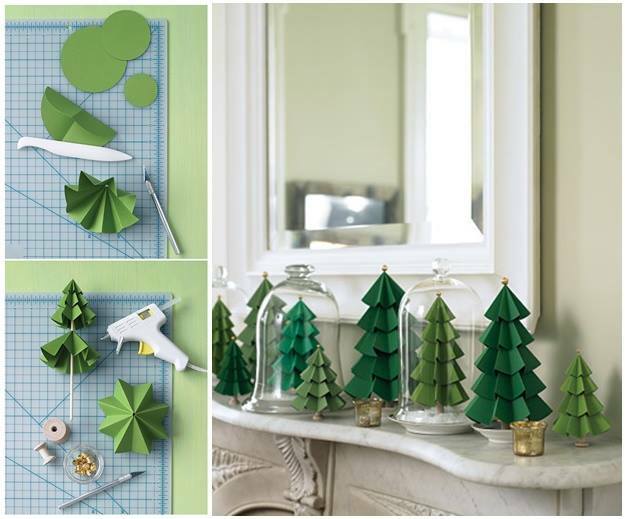 These paper evergreen trees are as pretty as origami versions but easier to make. You can make together with kids by folding and stick through. Kids will love these easy DIY Christmas tree ideas, together with glitters or stickers onto them as ornaments. 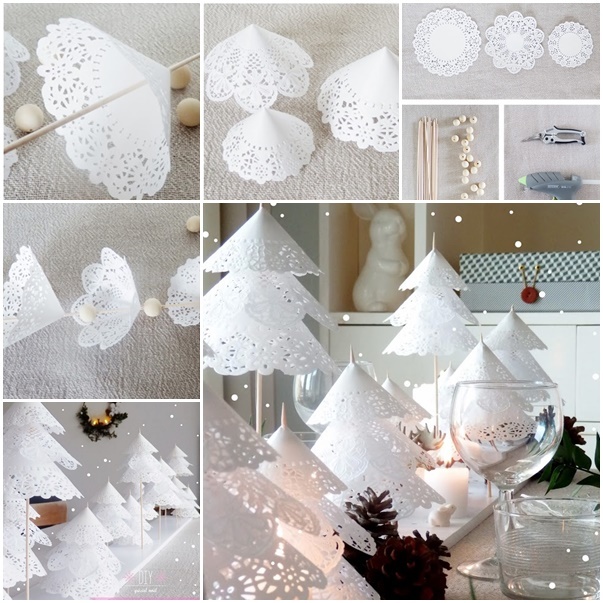 You may also love these paper doily Christmas trees with similar idea but by cutting and glue.